SALEM, VA - The Salem Red Sox announced today that they have reached an agreement with WSLS to broadcast their Saturday home games locally on MeTV. The Saturday broadcast schedule will consist of ten home games aired live at 6:05PM with the exception of July 6, which will air at 3:05PM. "This is an idea we have discussed for a few years and we're incredibly excited to see it come to fruition for this season," said Ryan Shelton, President and General Manager "We have great partner in WSLS and that's what it takes to pull something like this off, a great partner." The Red Sox began streaming their games live on the MiLB.tv platform in 2017 when the new video board in right field was installed. The infrastructure that we built and the new technology that was installed two years ago allowed the club to take the first step of streaming games online. With two seasons of experience and a newly installed HD encoder, the Red Sox were ready to pursue a local broadcast partner. 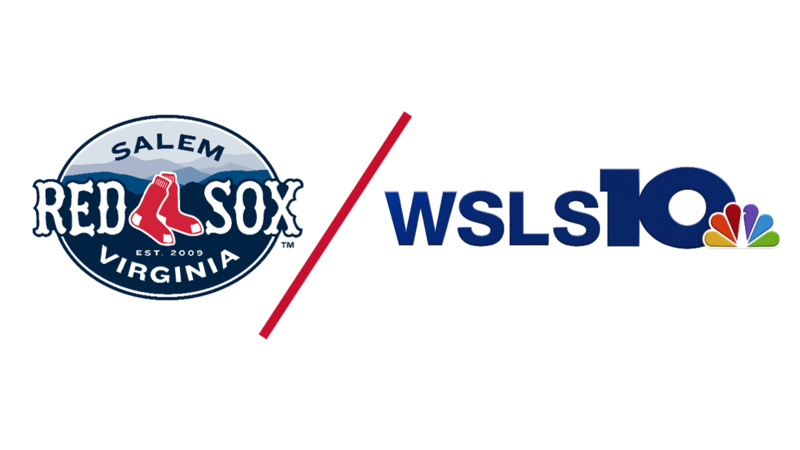 "We are incredibly excited to launch this historic broadcast partnership with the Salem Red Sox," said Jaimie Leon, WSLS Vice President and General Manager. "The team is a vital part of the local community and we trust our viewers will appreciate being able to watch these games over the air for the first time." The agreement between the Salem Red Sox and WSLS will span the 2019 and 2020 seasons. The Salem Red Sox return to Haley Toyota Field for their home opener on Thursday, April 11 at 7:05PM. Tickets are available by calling (540) 389-3333 or by visiting www.salemsox.com.